The narrator explains that the tale he is about to discuss is one of possible madness, but that he must explain it before he blows his brains out. His good friend, St. John has been torn to shreds and the narrator would rather not face that end. He explains that hee and St. John after growing tired of all the worldly adventures and pursuits, took up grave-robbing and began to collect a vast collection of corpses and buried artifacts a removed home. They delight in taking body parts, stuffing corpses, and other such dark pleasures for quite a while, when they hear about a potential grave robber's grave from hundreds of years ago. They decide to rob it and find a curious and hypnotic amulet in the tomb. However, from the day that they take it, stranger things begin to occur. They continue to hear a howl in the background (or howling wind). Knocking at odd hours and other noises begin to haunt their home. One day, St. Johns is slaughtered on his way home. His dying words direct the narrator to the amulet as the cause. Growing increasingly scared and questioning the sanity of it all, the narrator burns down the house with all of their collected items. He takes the amulet and goes to the Netherlands to find the grave where he had taken it from. Upon the way though, he is robbed. Later on, he discovers that the robbers had been reported as being slaughtered by some unknown beast. At this point, he stops hearing the hound in the background. The narrator rushes to the grave and digs up the corpse again. Instead of finding the mere bones of a centuries-old corpse, he finds a mangled and indescribable body with blood, hair, and the amulet. The man runs from this and begins to hear the hound in the background again. He finishes his tale by asserting that he will terminate his life shortly rather than face the hound. Lovecraft does well with this story. One thinks that it is about to end when St. John is killed, but the horror delves even deep in his aftermath. 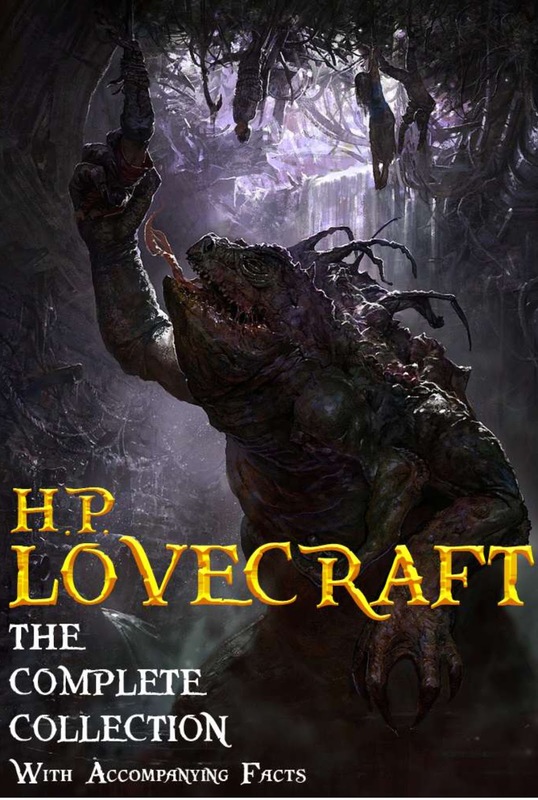 It's clear that this is a more well--written tale by Lovecraft in that he never shows us the monster directly but continually hints about what is there, thus we are able to imagine something rather horrific. I also learned or at least now I suspect that a ghoul can be used to refer to someone who robs graves (I will look it up later), which I never realized but the more I think about the different references I've seen for it, it makes sense.